The Cougars are hoping to recreate the tight team atmosphere it had last year as it tries to win back-to-back state championships for the first time in almost 40 years. The key to success for Cherry Hill High School East boys swimming isn’t just about fast times in the pool, it’s about becoming a tight unit outside the pool. The Cougars are competing in the 2017–18 season as the defending Group A state champions after winning the school’s second state title in three years last season. While much of Cherry Hill East’s success can be contributed to its deep roster of fast swimmers, there’s another aspect to the sport the swimmers feel is just as important. Moon and his fellow senior co-captains Tyler Tedesco and Jeffrey Teng remember how tight the 2015 and 2017 state championship teams were. The trio is trying to replicate the same atmosphere this year. One of the toughest parts of being a captain for Cherry Hill East is uniting everyone after a competitive preseason. Because there are so many good swimmers trying out for the team, competition for roster spots is fierce. “I just try to maintain that mentality that I’m not swimming just for myself, I’m swimming for my brothers next to me,” Teng added. The captains are also focused on making every swimmer on the roster feel included, regardless of what their role on the team is. Tedesco noted how Cherry Hill East has had numerous meets over the past few years determined by a few points. 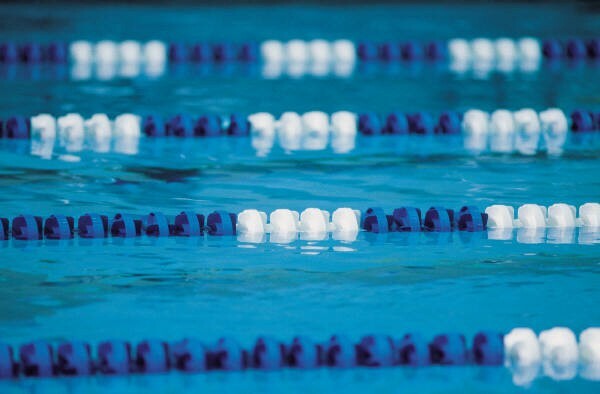 A lot of times, swimmers on the outside lanes make the difference in those close meets. The team doesn’t feel too much pressure despite being the defending state champions. Tedesco mentioned the team is motivated to keep the state title at Cherry Hill East. The boys swimming team has not won back-to-back state championships since the Cougars won four straight from 1976 to 1979. Moon and Teng noted there are high expectations built for the team outside of the program, but the team doesn’t pay too much attention to what others say. Teng said the team is instead focused on winning each dual meet and building momentum for the postseason. The Cougars started the season with a 4–0 record, including wins over Group IV schools Cherokee High School and Lenape High School.